In cases where an outbreak of Legionnaires’ disease has occurred, it is very often traced back to a facility or location where insufficient work has been done to manage the risks posed by Legionella bacteria. In the UK every business must be sure the risks are identified and managed in accordance with legislation which includes the Health & Safety Executives ACOP L8. As such, there should be an appointed duty holder and responsible person who is responsible for assessing, identifying and managing the risks associated with Legionella bacteria and Legionnaires’ disease in the workplace. While it is possible to read Government literature on the topic and become familiar with what is required of the duty holder and responsible person, it is much easier and more sensible to take a legionella training course. This ensures the duty holder, responsible person and anyone else involved with the control of legionella knows exactly what is required of them, and how to exercise their duties in the best possible way. While you can attend a regular legionella training course, these are not without their hassles. Finding the time in a busy schedule to attend a course is not always easy, even though it is essential. This is why our City & Guilds online training courses provide a smart and sensible solution. When you book your online training, you will receive a login that you can use whenever you are ready to begin. You can also use this login to gain access to your training via any computer anywhere you happen to be. This is much easier and more convenient for many people than it would be to attend a standard classroom based Legionella course. Depending on the information you need and the level of legionella training required, you will find there is a range of City & Guilds accredited online courses designed to help people understand various areas. For example, topics such as risk assessment, the management and control of risk, regulatory compliance and UK law, and even the history of Legionellosis can all be explored. Every legionella course finishes with the presentation of an online examination. This ensures the person taking the course has understood everything properly and can test their knowledge appropriately. Upon successful completion of a particular course, a relevant Certificate of Training is produced that acts as proof of their training. 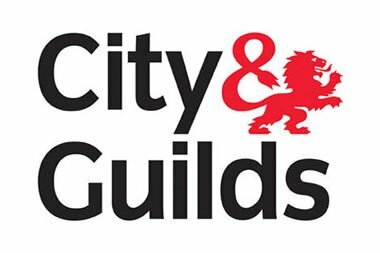 The best legionella courses should be City & Guilds accredited, such as those provided by Legionella Control International. This gives an assurance that the courses are suitable for providing the level of expert training the person seeks. As you can see, it might be easier than you think to make sure you are up to speed with ACOP L8 compliance issues.